50 Years On - There were doubts, if nothing else the cost of celebrating 50 years as a County Borough, could be seen as wrong with the 'war effort' in demand. But, a full 9 day programme was put together from 8th-16th August still saw an event suitable and cost effective. The programme would see the military in full force in attendance along with many of other contributioons all absed around the Cliff Bandstand. A Jubilee Bowls tournament was held at the Priory Park Club, along with a Kids Concert Party, and a Cricket match at Chalkwell Park between a London Counties XI v Major Hon. CJ Lyttleton's XI. The festivities wound up on 16th with a Drumhead Service, again in Chalkwell Park. 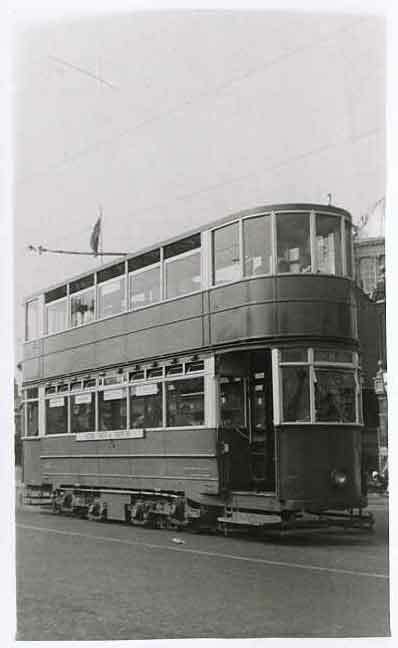 End of an Era - Remember the 8th April 1942; the last tram ran in Southend. This convenient form of transport that could take people acro ss the borough was retired. Due mainly to the war raging, a smaller populace due to evacuation and Southend Corporation lending out to other towns it's rolling stock. The tram's routes were numbered, and this Spring day would make it their last. Car 61 operated a token farewell run from Porters, the Civic House, to the depot, driven by the Transport Committee Chairman, Cllr. Selby. The Palace Gifted - This year the Palace Theatre was gifted to Southend Council. The theatre closed its doors not long after the war started; the proprietress being a Mrs Gertrude Mouillot. Railings Needed - Around the town efforts were being made to supplement the countries war need for metal, to be converted into munitions. Railings from prominent properties around town including churches and council buildings were removed, and the redundant tram tracks were pulled up providing a huge amount of steel. Evacuation Programme Impacts - Southend due to its geographical positioning made it one of the most vulerable towns in England for either bomb attack or invasion. The town underwent a mass commandeering by the town, and in turn those most vulnerable were evacuated. 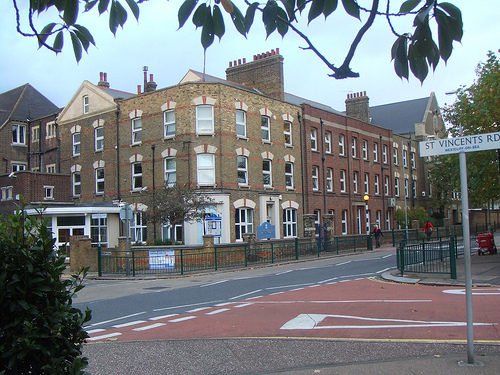 On Sunday 2nd June 1942 the town's children were evacuated starting at 7am with Westcliff High School for Boys and Thorpe and finishing with Hamstel at 12.35pm. The evacuation could not have gone better and enabled the town to close all its schools. The children went to the Midlands areas and in some places Southendian children were to swamp the local children's populace; so much so one Headmaster stated: "If you here a child talking in strange accent don't kick him out of town he is probably one of ours!" 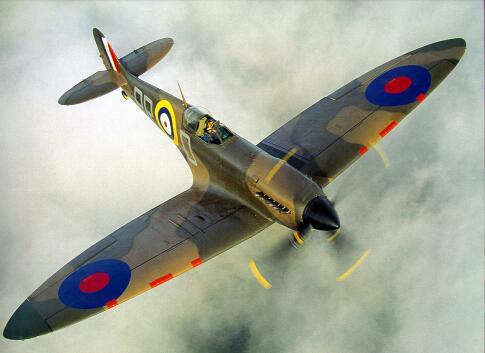 A Spitfire of Our Own - The long standing Mayor. Ald. Miles, had always promised to lead the town towards raising enough money to help purchase a Spitfire to assist with the war effort. In September 1942 the Mayor wrote a letter to the Minister of Aircraft Col. JJ Llewellin, explaining that although the town was much depleted due to evacuations his promise of funding was true and duely provided a cheque for £5,000. This would ensure Southend-on-Sea would indeed be engraved onto the fusilage of the newest Spitfire off the production line. Warship Week - HMS Ashanti was assigned to Southend for the week in February to try and raise a required £500,000. Everything was needed by the people of th town to reach the target which would include the savings lying idle in accounts. The need was urgent by the government and up and down the country other towns were doing the same to help. Westcliff School Bombed - St Bernard's School in Milton Road took the brunt of this August raid. German bombs are indiscriminate, and although invariably London would be the target for the Luftwaffe, Southend took more than its fair share of beatings as the 'Kraut' bombers off loaded their deadly cargo on the way back to the Fatherland. Victoria Cross - A Leigh man, Lt Peter Watkinson-Roberts RN, was awarded the Victoria Cross, for crawling twenty feet through the gun-casing of the submarine Thrasher, which lay close to hostile coast, her presence known to the enemy, when at any moment it might crash dive and plunge him to death. Famous Jewellers Hit by Bomb - Southend High Street suffered this year with one of it's most famous retailers, RA Jones & Sons Ltd taking a full on hit from a German bomb. The jewellers although still standing was dessimated right the way through. The famous clock was destroyed during the attack. Neighbouring properties also took the brunt of the bomb. Troops stationed in the town assisted with the clean up operation. Robert A Jones a great benefactor of the town died in 1925, but his business continued through his son Cecil. Read a full account of this attack here. War Room - With advice from the War Office a new War Room was constructed to contain and control events at the rear of Alexandra Police Station, this contained wireless radios and transmitting equipment, a telephone switchboard and a seperate control room. Panto Time - With the war raging, and the lids evacuated, although some returning, not even Hitler could stop Southend's panto. The Regal in Tylers Avenue once again took the lead and this year's festive treat would be Red Riding Hood. The adverts atb the time proclaimed a huge cast of some 50 artistes on stage, including Jack Welsh as Dame Horner, Patsy Gibbs, Jack Hillier, Olive Sloane and Johnny Martin.